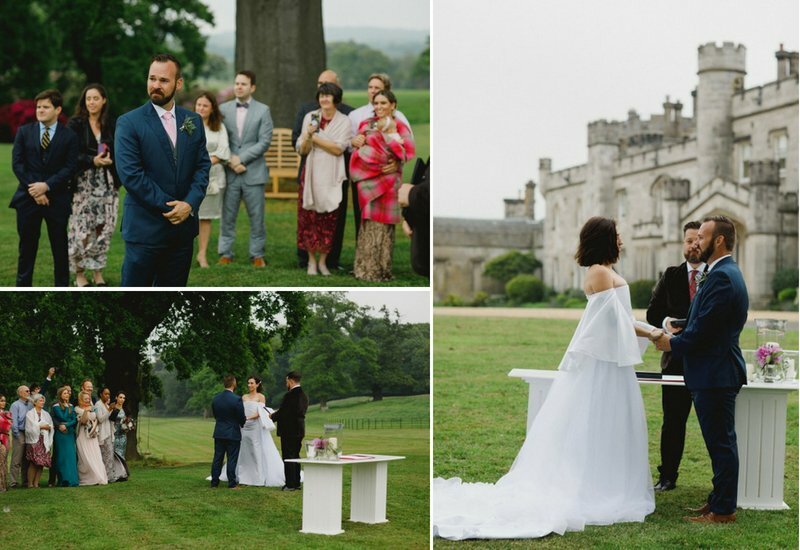 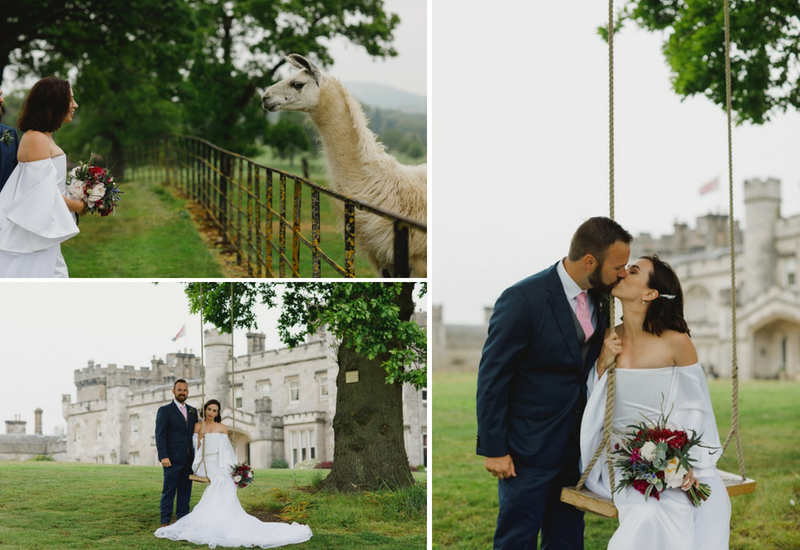 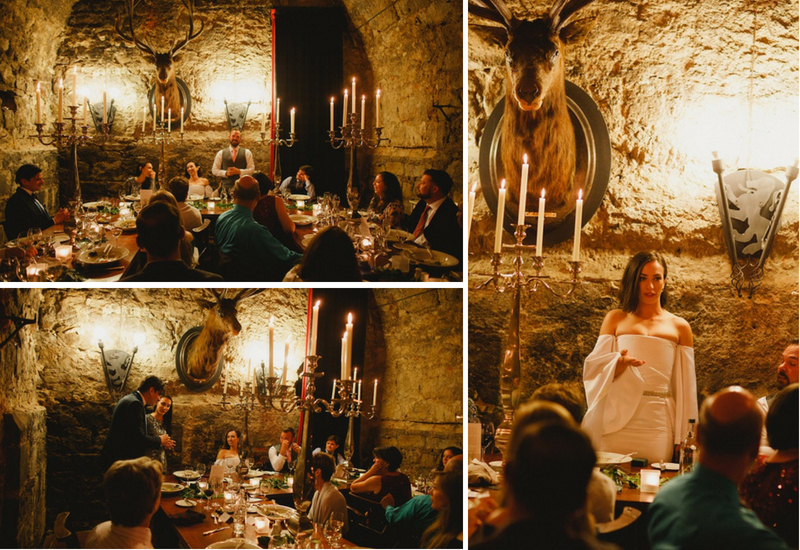 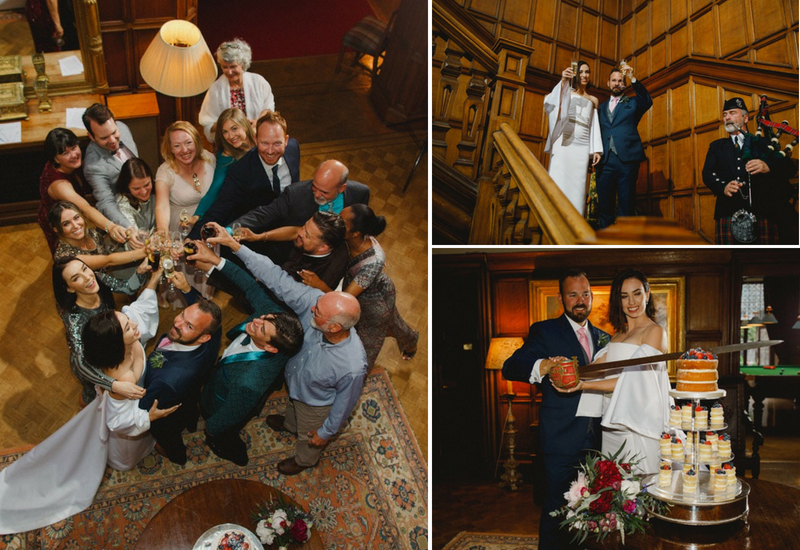 Rachel and Garrett travelled from America with 20 guests to celebrate their wedding. 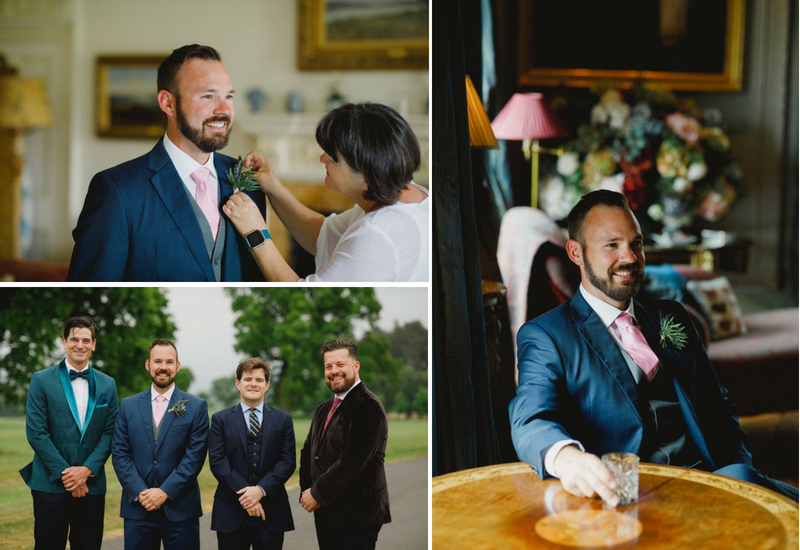 Their day was incredibly special with their ceremony being conducted by their good friend who was officiated for the day. 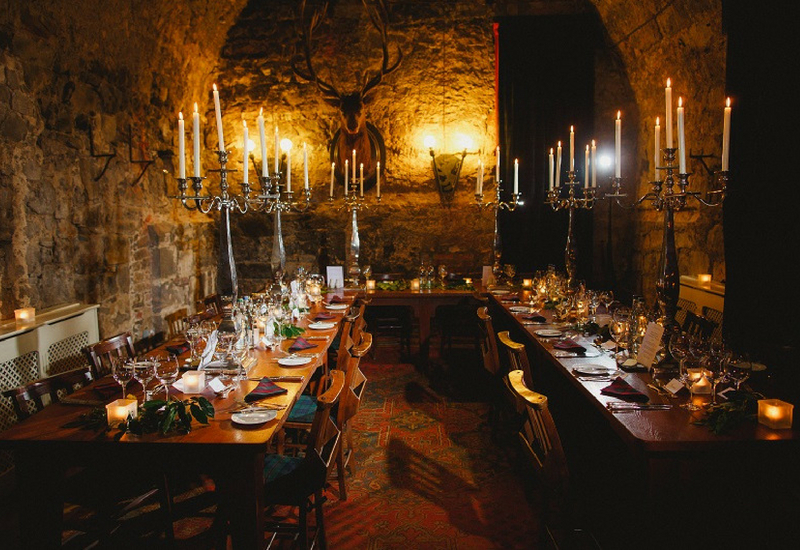 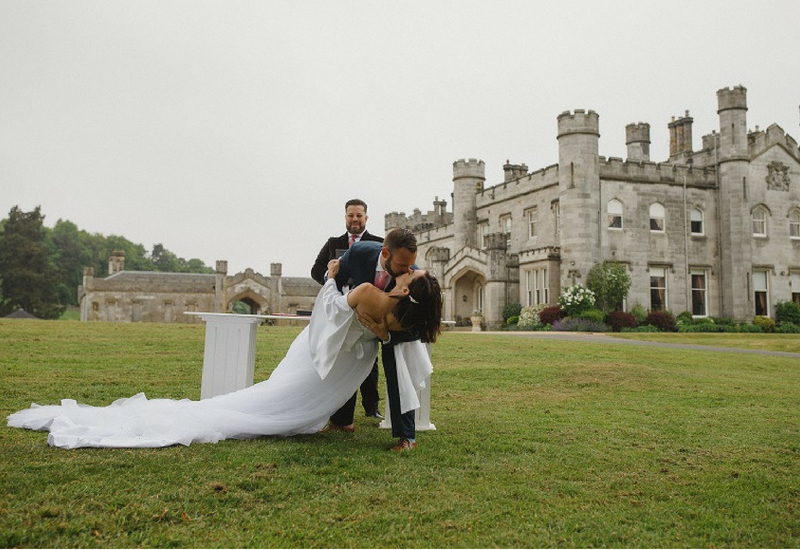 They said their vows on the front lawn with the Castle as the backdrop and enjoyed their wedding breakfast in our atmospheric Auld Keep which made the whole day feel very romantic. 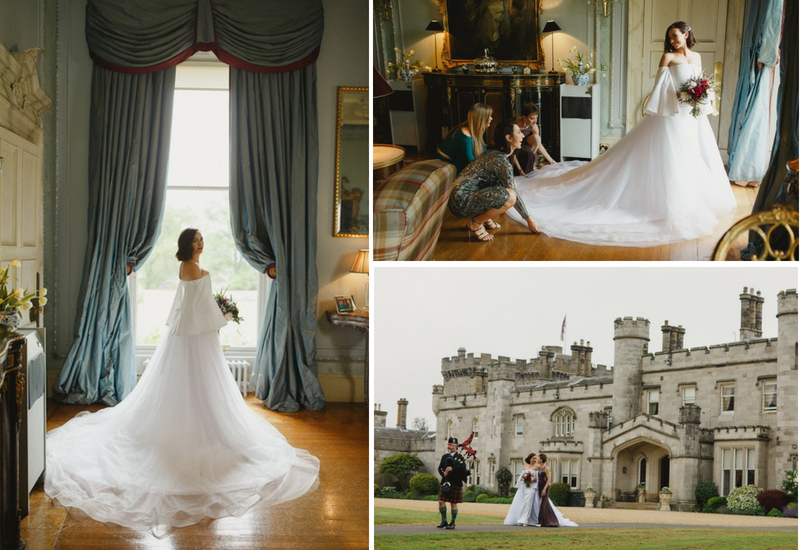 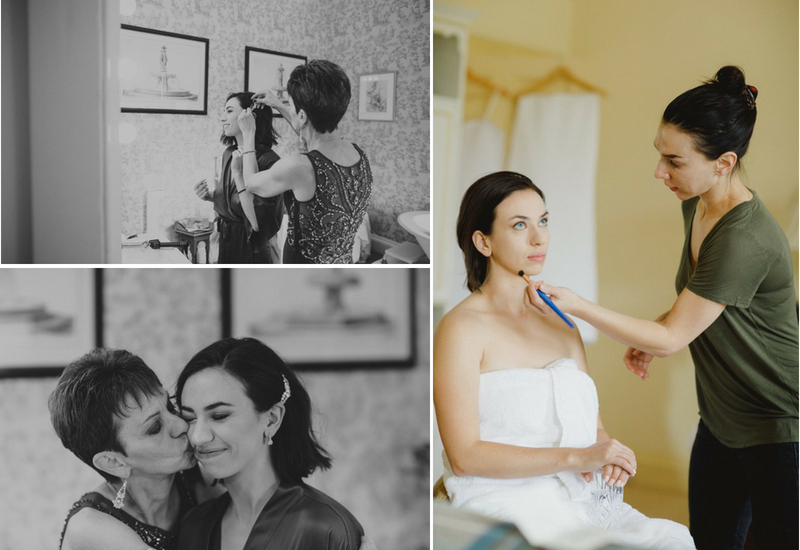 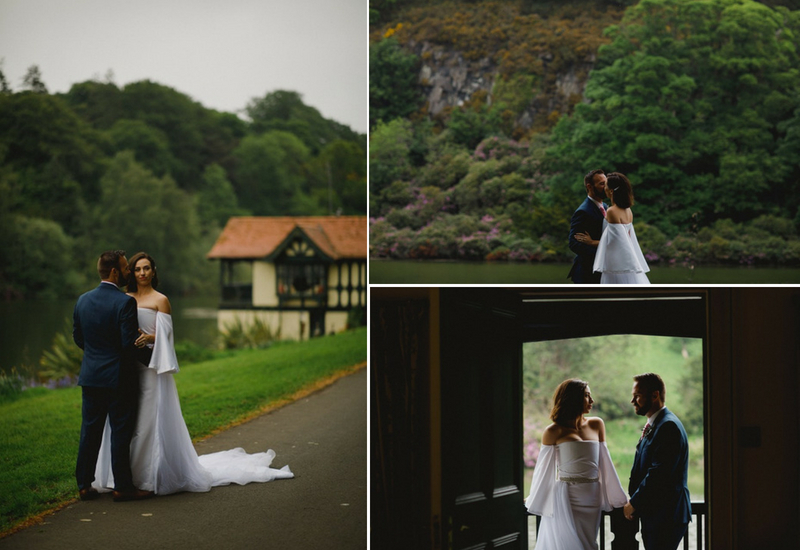 Rachel designed and made her wedding dress which was absolutely stunning. 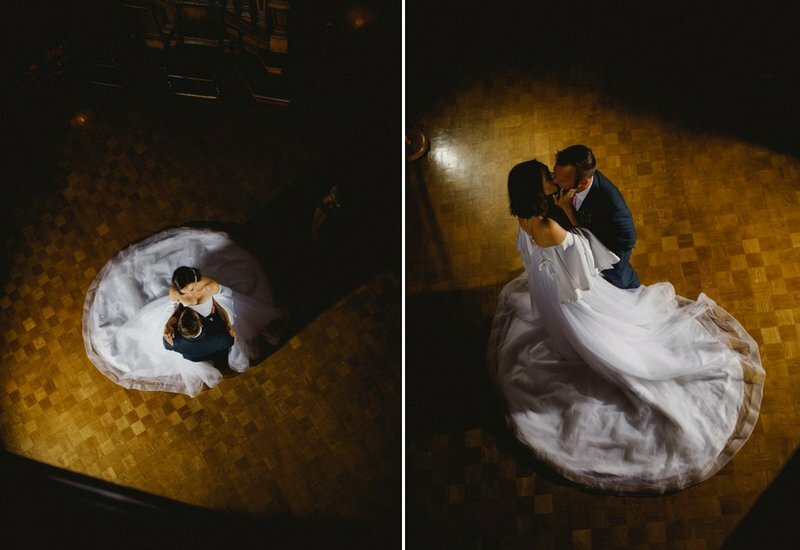 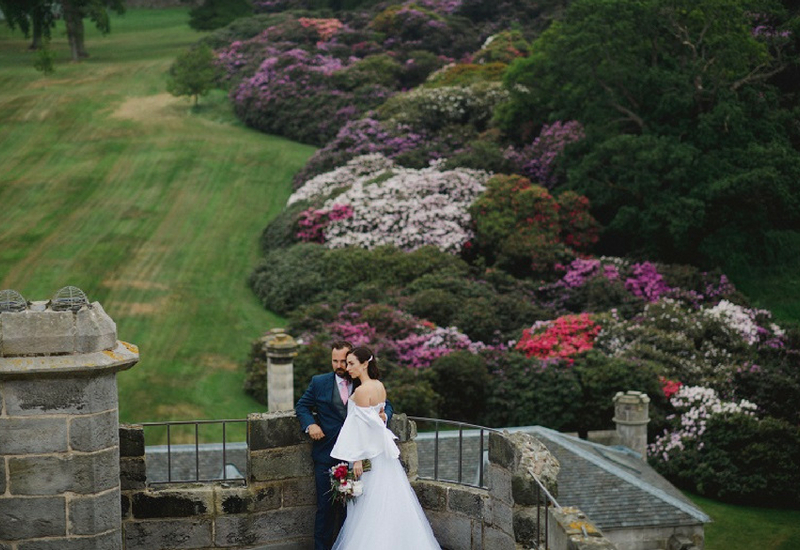 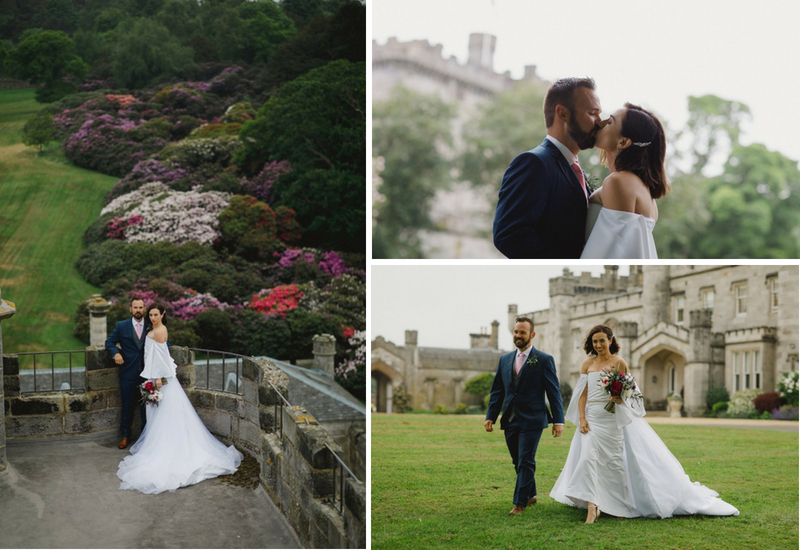 Duke photography took some gorgeous images of the newlyweds around the estate, we hope you enjoy looking at them as much as we did.